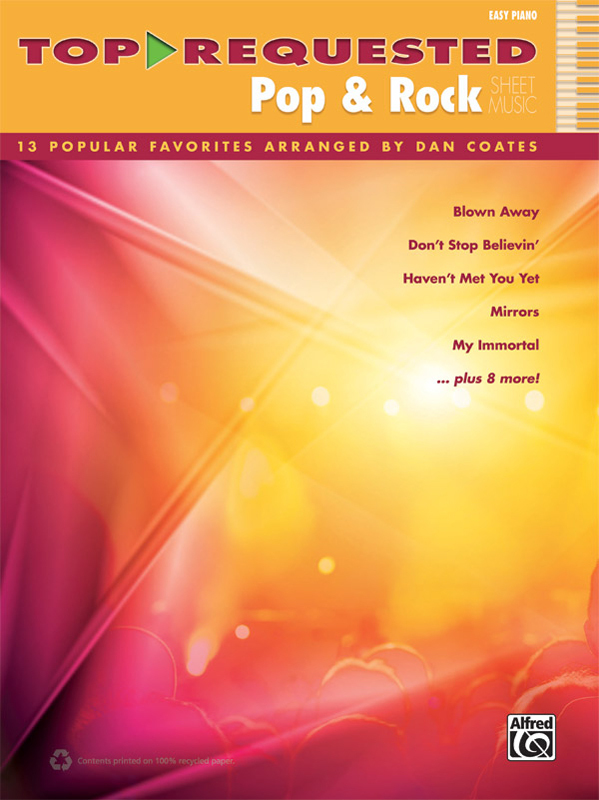 * For pianists who love pop & rock, this collection has it all! * Acclaimed keyboard arranger Dan Coates makes 13 of the most popular tunes easy to play while retaining their full sound. * Titles: Africa (Toto), Because of You (Kelly Clarkson), Blown Away (Carrie Underwood), Bridge Over Troubled Water (Simon and Garfunkel), Don't Stop Believin' (Journey), Firework (Katy Perry), Foolish Games (Jewel), Haven't Met You Yet (Michael Bublé), Just Give Me a Reason (P!nk featuring Nate Ruess), Kiss from a Rose (Seal), Mirrors (Justin Timberlake), My Immortal (Evanescence), When I Was Your Man (Bruno Mars).